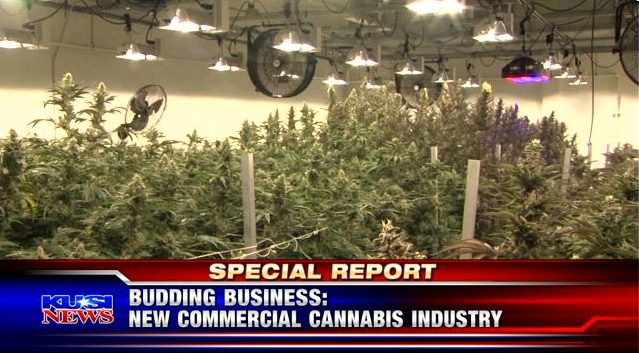 SAN DIEGO (KUSI) — It’s the start of a brand-new era for some California entrepreneurs. Lots of people are making business plans now that marijuana is legal and there is millions to be made in this new California "gold rush." For people like Jason Klein there has never been a better time to be in business. The real estate broker has specialty in buying and selling properties to people in the cannabis business. One property for sale is the 16 thousand square-foot property, which currently houses a wine store. It’s up for sale for a cool 2 million dollars. Next door, the site of this former pet hotel is listed at a mere 1.1 million dollars and eager buyers were calling after the city of la mesa last week approved a new law to allows the operation of medical marijuana businesses. Those who get their medical cannabis business going early will have a big advantage when the state starts issuing the legal permits for the non-medical businesses in 2018. Most of Cindrich's clients are people who want to operate a facility for cultivation and manufacturing. Others are more interested in cashing in on retail sales. Although marijuana is legal for recreational use, it’s not legal to use in public and that could open up new prospects for hookah lounges and other spaces where smoking pot might be permitted. It's too early to say what other kinds of businesses might thrive, but as Jason Klein knows, no opportunity comes without both risk and reward. Attorney Michael Cindrich says some of the regulations from the state will begin to be fleshed out over the next 3 to 6 months. Local communities like San Diego will also have their work to do — changing zoning laws to permit the operation of commercial marijuana businesses or in some cases, making them illegal. As we mentioned, the state of California won't issue business licenses until the start of 2018.